The second largest town in the county of Limerick. This historical market town is pleasantly situated on the river Feale in the foothills of the Mullaghareirk Mountains, which is a great spot for fishing. 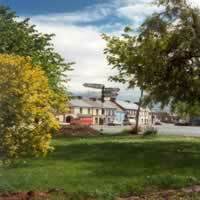 The main feature of the square in Abbeyfeale is the statue of Fr. William Casey, a local parish priest from 1883 to 1907 who helped the tenant farmers fight against their landlords. Abbeyfeale Town Park was developed on the banks of the river Feale. The park has meandering walkways adjacent to the river, which also takes in the idyllic views of the surrounding countryside. 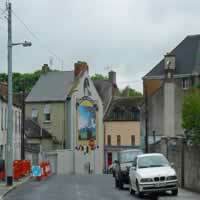 The town is famous for its traditional music festivals (Fleadh by the Feale) which are held annually. 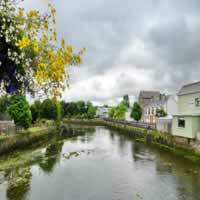 Adare is set in a picturesque location on the banks of the River Maigue, a tributary of the River Shannon. 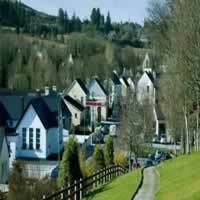 It is renowned as one of Ireland's prettiest villages, and is designated as a Heritage Town and has won many prestigious Tidy Town Awards. With its picture postcard main street of thatched cottages and medieval buildings, the village is rich in ancient and archaeological remains with a history dating back to 1200 AD. The entrance to the village from the east gives way to views of ancient buildings, including the Norman built Desmond Castle on the banks of the Maigue, while the 19th century Neo Gothic Adare Manor is set in 840 acres of parkland and nestled among tall oaks. 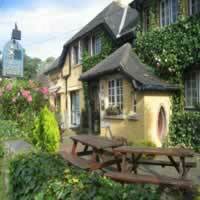 Adare is located 11 miles southwest of Limerick city on the N21 Limerick - Tralee route. The village has a rich history associated with the river, where grain mills were once positioned to harness water power. It also had a strong co-operative movement with the setting up of the Annacotty Co-Operative Society in the 1890's. Butter was made in the village until the 1960's. As Limerick city and the suburb of Castletroy have expanded, Annacotty has become a popular settlement with a good variety of pubs and restaurants. Annacotty is situated on the banks of the Mulkear River, 4 miles from Limerick city just off the N7 Limerick - Dublin route. Askeaton is one of the oldest towns in County Limerick, with a richness in history and ancient archaeological remains with a Castle on a tiny island in the center of the town, which dates back to 1199 and a Franciscan Friary from 1389 that was founded by the 4th Earl of Desmond. The Castle was once the home of the Earls of Desmond known as the Kings of Munster. As a stronghold, it remained a threat to the English Crown in Ireland until the Castle was finally destroyed by Cromwellian forces in 1652. The Friary remains one of the most beautiful complete ruins in Ireland and can be seen from the N69 scenic driving route. It is located on the banks of the Deel River, 2 miles upstream from the Shannon Estuary. 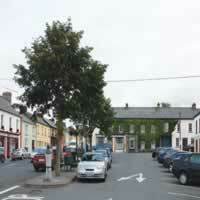 Athea is a small rural village in the west of County Limerick, approximately 2 miles from the Limerick - Kerry border. The village has had many famous residents including Con Colbert, the youngest man to be executed by the British Army, after the Easter Rising in 1916 and the Ahern brothers, who received Olympic medals in the games in 1916. The village was dominated by agriculture in the past and a large Creamery still dominates the streetscape. There is an annual Motorcycle Festival in June, which attracts thousands of visitors to the area. This rural village is located southwest of County Limerick on the R518 road and set in lush pasture land and overlooked by the hill of Knockfierna. Along Knight Street are the remains of Ballingarry Castle, which was once home to the de Lacy family, who fled Ireland for Europe after losing their lands and titles in the Cromwellian and Jacobite wars. Ballingarry had a booming economy in the early 1800's with an important weaving and linen industry until the Famine struck in the 1840's. Ballylanders is a small village in the southeast of County Limerick. The main street is dominated by traditional shop fronts and has the first Irish example of a 20th century modern architectural style of round churches. Griston Bog, to the west of the town, is a well known nature reserve and bird sanctuary. Nearby attractions include Ballyhoura Country, the Ballylanders Church, the Griston Bog for bird watching and the Galty Castle Forest Recreation Area for walks and tours. 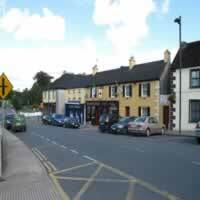 Bruff is a town in the east of County Limerick located on the old Limerick - Cork Road (R512). The town lies on the Morning Star River, with two town bridges crossing the river. The town has a pretty streetscape with many traditional shop fronts. The town played its part in the Irish Civil War and there is a memorial to Sean Wall, a volunteer of the War of Independence. Bruff is also famed for its contribution to the history of the United States of America, as Bruff is the ancestral home of one of America's most famous dynasties – the Fitzgerald Kennedys. The countryside surrounding Bruff is quite scenic with Lough Gur, one of Limerick's major tourist attractions and assets nearby. This area is rich in archaeological and historical sites. Bruree is a village in the southeast of County Limerick on the Maigue River and is steeped in history and rich in archaeology. Bruree is not only an attractively located village in the valley of Maigue, but it was one of the seats for the Kings of Munster from ancient times until around the end of the 12th century. Bruree was also the place where Irish bards met twice a year until 1746. There are a number of ring forts located in the Bruree area, the best known being Lissoleem ring fort. Cappamore is a small town in the northeast of County Limerick on the R505 road. 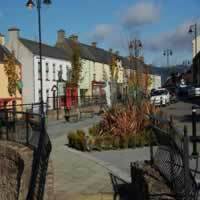 Located in a valley close to the Mulkear River and overlooked by the Slieve Felim Mountains, Cappamore has a prominent dairy industry, with a popular Cappamore Agricultural Show every year in August. Cappamore is also a popular rural base for salmon fishing the Mulkear, which is renowned as one of the finest Salmon rivers in Ireland. Castleconnell is a pretty town on the banks of the Shannon River, located 7 miles from Limerick city, close to the borders of Clare and Tipperary. The village is home to a number of fine architectural buildings including the Castle Oaks Hotel and Mountshannon House, built in the mid 18th century in a neo Palladian style, it now lies in ruins. The town remains a popular location for anglers fishing on the Shannon and Mulkear rivers and has a long history in angling, once being a popular location for royalty to fish. Castleconnell also has a rich and diverse bird life, particularly for swans that migrate from Iceland in the winter to breed on the river. 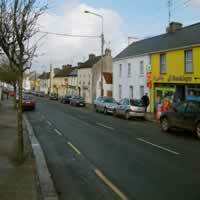 Croom is a small rural town in the south of County Limerick, just off the N20 Limerick - Cork Road. Situated on the Maigue River, the town has a significant archaeological history with a round tower dating back to the 12th century, Croom Castle, one of the principal residences of the Kildare branch of the Fitzgerald Dynasty, and a church from the 15th century. In the 1800's the town had an active mill industry on the Maigue River. In the mid 1800's a workhouse was built as a result of the Famine, this building is home to an orthopedic hospital since 1924. Croom also has an important thoroughbred horse stud Islanmore Stud. This farm, with its original 18th century house, was once the home of the younger brother of Earl of Dunraven of Adare. Nearby attractions include the Croom Castle and the Croom Mills and the Buttercup Visitor Farm. 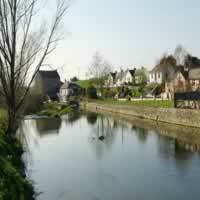 Dromcollogher is a small town in close proximity to the Cork border situated in the Golden Vale. This medieval town has played a significant role in history, being one of the starting points of the Co-operative Movement in Ireland in the late 19th Century. The town still has a strong agricultural base and was home to the Irish Dresden pottery factory from 1962 until 2009. Dromcollogher also has a very successful football team, who have a number of Senior County Championship titles. Foynes is a town, an island and a harbor situated on the southern shore of the Shannon Estuary in the west of County Limerick; and the N69 scenic driving route passes through the town. 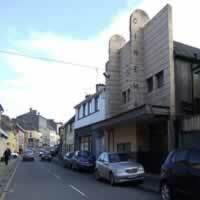 Foynes has a picturesque main street of limestone cut buildings. The town has a major deepwater seaport, with capacity for very large vessels. 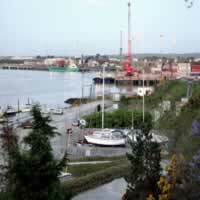 This port is nationally significant as the second largest seaport in Ireland. Foynes is situated at the foot of mature forest slopes of Ballynacragga and Knockpatrick, which help to give it shelter. Although a relatively new town dating from the mid 1900's, Foynes has a rich maritime and aviation history and was once the last port of call on the eastern shore of the Atlantic for flying boats as it became the center of the aviation world from 1939 to 1945. Today Foynes has a world class Flying Boat Museum, which exhibits a full size replica of the B314 flying boat. The town is also the birth place of the world famous Irish Coffee, which was first made here in 1942 for flying boat passengers. 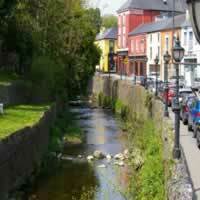 Galbally is a small picturesque village in the south of County Limerick in the Glen of Aherlow. It won the overall Tidy Towns Competition in 1994 and has won the Limerick County competition a number of times also. Galbally and its surrounding countryside is archaeologically and historically important to the region, in particular Darby's Bed (Duntryleague - the fort of the three pillar stones), an ancient site from which much fable and folklore abound. It is a majestic megalithic passage grave dating back to perhaps 6000 years or more, and legend has it that Diarmuid and Grainne rested here on their flight from the angry Fionn MacCumhaill. The remains of Moor Abbey, a Franciscan Friary, dating to the early 13th century is also located close to the town. 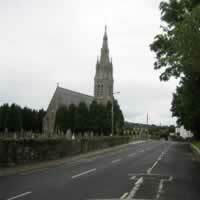 Glin is located on the N69; a scenic driving route. It is a small picturesque village on the banks of the Shannon Estuary with the Glencorbry river running through it. 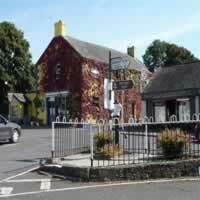 The village of Glin has a long and rich history and is probably best known as the seat of the Knights of Glin. Originally Normans, the Knights of Glin are a branch of the Desmond Geraldines, who were also called the Fitzgeralds. The original castle, which is still visible today on the banks of the Glencorbry, was the home of the Knights of Glin from about 1260 until 1642. The present day Glin Castle was built between 1780 and 1790, set in a 500 acre wooded demesne, this castle overlooks the Shannon Estuary. Glin has a large market square, and is still home to fairs and markets throughout the year, with an annual Horse and Cattle Fair held in December. Kildimo is a small village on the N69 west of Limerick city and close to the Shannon Estuary. 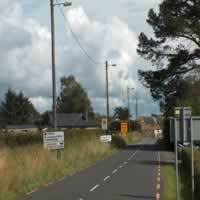 This rural village is made up of Old Kildimo to the south and New Kildimo to the north where a new street emerged when the new main road was built. There are a number of castles nearby including Cullam Castle, Ballyculhane Castle and Dromore Castle. Dromore is unusual in that it was built in the 19th century in the gothic revival style and its design is reminiscent of a fairytale castle, perched on a hill overlooking the Shannon River and Dromore Lake. It can be seen through the trees from the N69 to the west of the village. Kilfinane is a small market town in the southeast of County Limerick, nestled within the Ballyhoura Mountain range in the Golden Vale region. At 500 feet above sea level this town has picturesque views. The pretty streetscape of the town was revitalized a number of years ago through an urban renewal scheme. 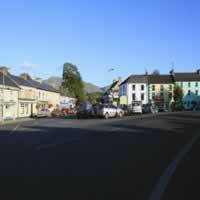 Nearby attractions include the Kilfinane Market House, Ballyhoura Country and the Kilfinane Outdoor Education Center. Kilmallock, known as the 'crossroads of Munster', is an important Norman town and was at the center of Ireland's political development from the 13th through to the 17th centuries. Substantial portions of the old town walls survive as well as two town gates, the Blossom Gate and John's Gate, which is a landmark in the center of the town. Church and Abbey ruins testify to the importance of the area from the 13th to 15th centuries. Kilmallock's heritage is celebrated each year with a medieval festival and the town is also a member of the Walled Towns' Network. Excavations at Tandardstown, Kilmallock have uncovered a complex of houses and evidence of early farming activity dating from shortly after 4000 B.C. 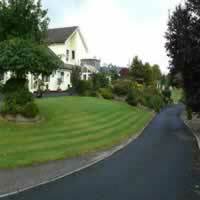 Located in the Golden Vale region, it is approximately 6 miles from the N20 Limerick - Cork road. 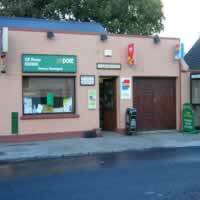 Montpelier is a small rural village in east Limerick on the banks of the Shannon River. It is famous for its 14 arch bridge, which spans the Shannon connecting Limerick to Clare at O'Briensbridge. The first bridge was built by Turlough O'Brien in 1506. It was replaced in 1750 and has had further modifications since, including a modification for the Shannon Scheme downstream from 1925-1929. 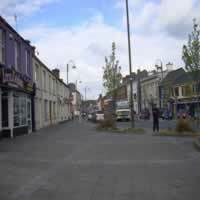 Newcastle West is the county town and largest settlement in County Limerick. 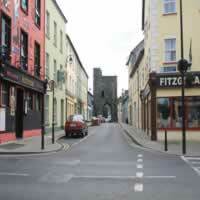 The town is pleasantly situated on the river Arra in the rich central plain of County Limerick. The town is clustered with buildings of historic interest, including the Desmond Castle and Banqueting Hall, the Courthouse, built in 1842, and the old Railway Station, which was built in 1867. Other heritage buildings include St. Ita's Hospital, the former Carnegie Library building and the Courtenay Boy's School. The town offers excellent shopping facilities and a variety of pubs, restaurants and hotels. The recently restored Great Southern Trail (restored railway line) is easily accessible from the town and provides a scenic trail for cyclists and walkers alike. 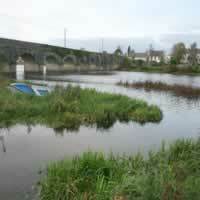 Rathkeale is situated on the River Deel approximately 19 miles from Limerick City. The town dates back to at least 1289 and has been influenced by many periods of settlement over the centuries. The former railway station that formed part of the North Kerry railway line from Limerick to Tralee has been converted into the Irish Palatine Museum. The nearby railway line has been restored and forms part of the Great Southern Trail, which stretches for 53 miles through the beautiful countryside of West Limerick and North Kerry. Castle Matrix, which stands prominently on the southwestern edge of the town, was formally the property of the Earl of Desmond and contains beautiful objects of art and many historical records.